Suitable for Immunomicroscopy and Flow Cytometry or FACS as well as other antibody based fluorescent assays requiring extremely low background levels, absence of F(c) mediated binding, lot-to-lot consistency, high titer and specificity. Flow Cytometry: the maximum amount of reagent required to stain 1x10e6 cells is approx. 1.0 µg of antibody conjugate. As a general guideline dilutions of 1/100 to 1/250 should be suitable for most applications. Immunoglobulin G (IgG), is one of the most abundant proteins in human serum with normal levels between 8-17 mg/ml in adult blood. IgG is important for our defence against microorganisms and the molecules are produced by B lymphocytes as a part of our adaptive immune response. The IgG molecule has two separate functions; to bind to the pathogen that elicited the response and to recruit other cells and molecules to destroy the antigen. The variability of the IgG pool is generated by somatic recombination and the number of specificities in an individual at a given time point is estimated to be 10e11 variants. 0.5 mg/ml (determined by absorbance = 82.0 at 565nm). Store vial at 2-8°C prior to opening. Restore with deionized water or equivalent. This product is stable at 2-8°C as an undiluted liquid. 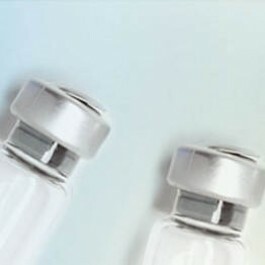 Dilute the antibody only prior to immediate use. 0.02 M Potassium Phosphate, 0.15 M Sodium Chloride, pH 7.2, containing 10 mg/ml BSA as stabilizer and 0.02% (w/v) Sodium Azide as preservative. Assay by Immunoelectrophoresis resulted in a single precipitin arc against anti-Phycoerythrin, anti-Donkey Serum, Mouse IgG and Mouse Serum. No reaction was observed against anti-Pepsin, anti-Donkey IgG F(c), Bovine, Chicken, Goat, Guinea Pig, Syrian Hamster, Horse, Human, Rabbit, Rat or Sheep serum proteins.